Because of the vast range of differing types, planetary carriers pose a real challenge for induction heating. 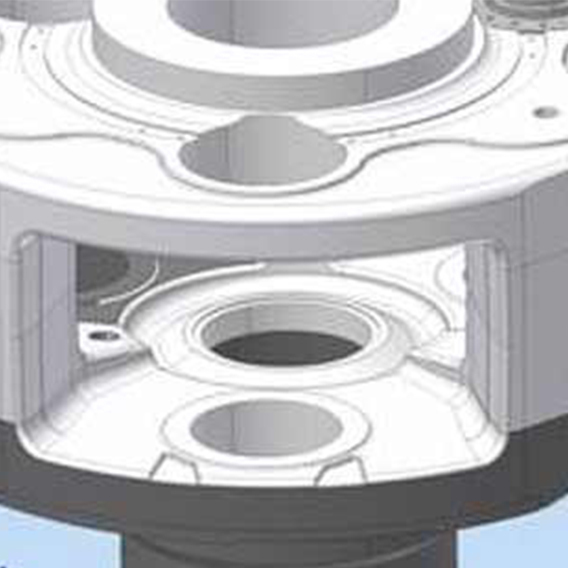 In addition, two drill holes have to be heated simultaneously. Nonetheless, induction heating produces substantial time savings with respect to heating up and cooling down times and no distortions occur in the hollow shaft. heating ovens → 4-6 hours. induction heating < 1 hour. RiTeR Induction came up with a specially designed induction coil for this application, which was carried out in cooperation with leading gearbox manufacturers. These induction coils are individually designed, constructed and manufactured for each individual planetary carrier model. 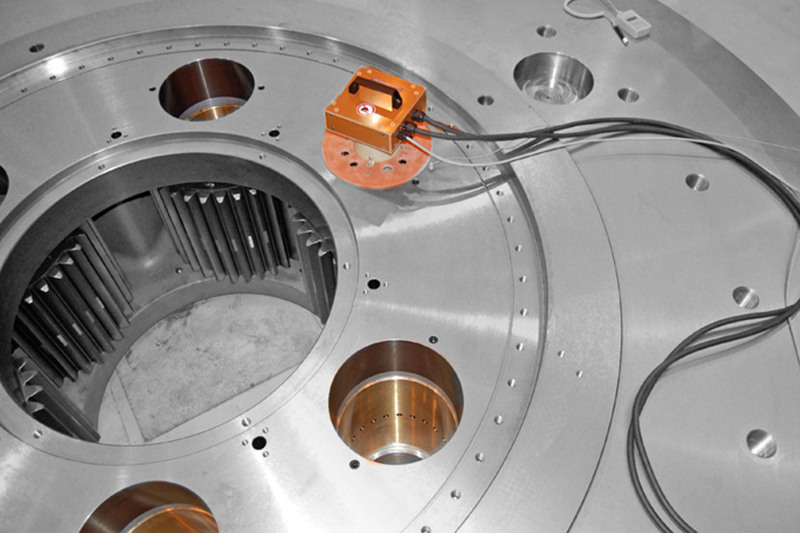 The planetary carrier flange is preheated with a flexible induction coil, then the drill holes are heated using a fixed induction coil for mounting the shafts. 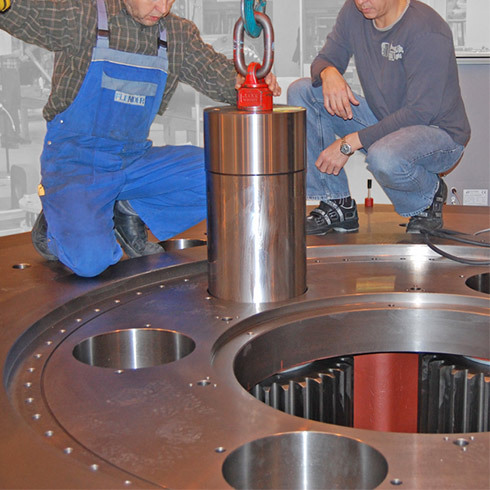 The shaft is put into the planetary carrier once the correct temperature has been reached. 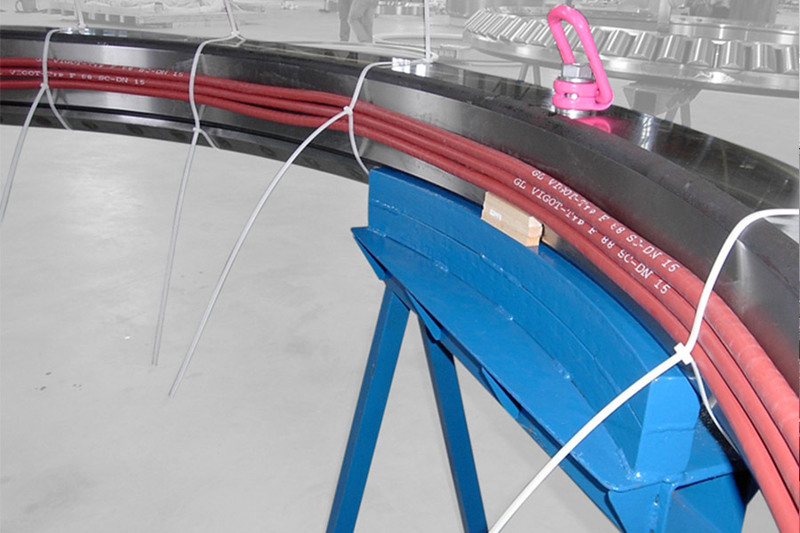 Induction heating of the gearbox housing for installation using a flexible induction tube.